Brainstorming is an invention strategy for composition that can take many forms. While some find it useful to use diagrams, outlines, decision trees, and clusters, those tactics tend to focus on the "what" instead of the "how" and the "why." In order to approach deeper issues, and to trigger chains of thoughts, a very powerful technique is to develop series of questions. This brainstorming exercise revolves around questions that trigger questions. It is a chain of questions, or, one could say a "great concatenation of questions." This approach is extremely useful for causal essays, as well as basic argumentation. 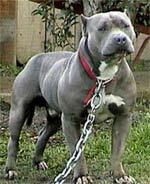 One topic that certainly helps illustrate the technique is that of the American Pit Bull Terrier. It seems that attacks by pit bulls just keep increasing. Why is it happening? What are we doing about it? Are some dog breeds being labeled "bad breeds"? I'm using the question about whether or not communities should have "breed bans" as an example. Use this approach for any topic -- you'll be surprised how effect it is, especially as you try to get started, and you are not sure how to see multiple sides of the same issue. I was able to listen to the show using Real Player, which I had downloaded for free from the Internet. Alternatively, I could have listened to it using Windows Media Player. Questions immediately came to mind. I thought about the general questions, and I found my questions were helping me narrow my topic. The questions can also be thought of as cluster analysis questions, and can be used in conjunction with mind-mapping. Why do pit pulls attack people, and how can such a tiny dog be so dangerous? Who says they're bad? Why are they saying it? What do some people want to do? Where? Why? Why are pit bulls aggressive? Were they bred that way? What is a pit bull, and what makes it so dangerous? Who uses the ultra-aggressive pit bulls? Who might need such an aggressive dog? What is good about a pit bull? Why do some people say the breed is very loving? Can pit bulls be friendly, happy dogs? 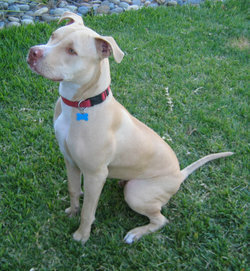 What would I do if I had a pit bull? Dog chow for ultra aggressive dogs (make them more aggressive) -- is there and ethical issue here?